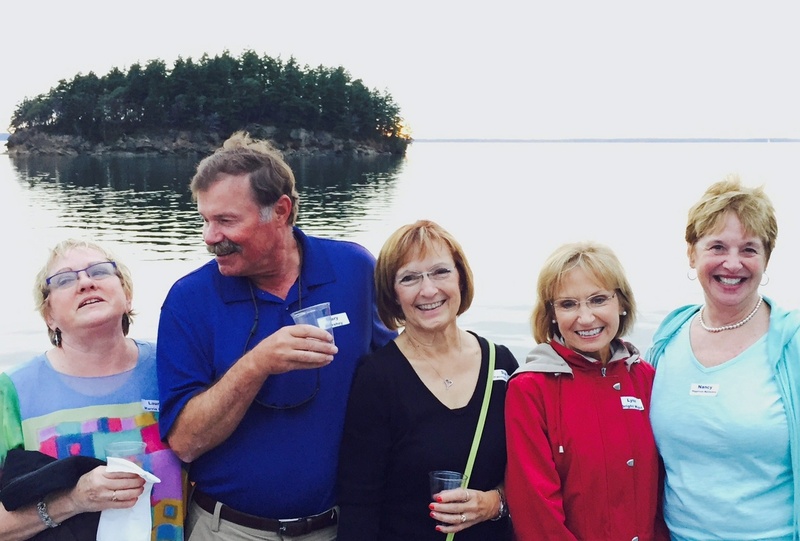 The forecast was for rain Friday night, but it held off until after the cruise. 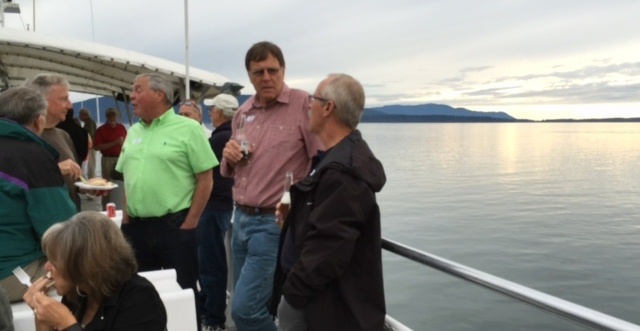 It actually gave new meaning to the phrase, “Calm before the storm” as a windstorm from hell swept in 12 hours later and left over 10,000 Whatcom County residents without power. 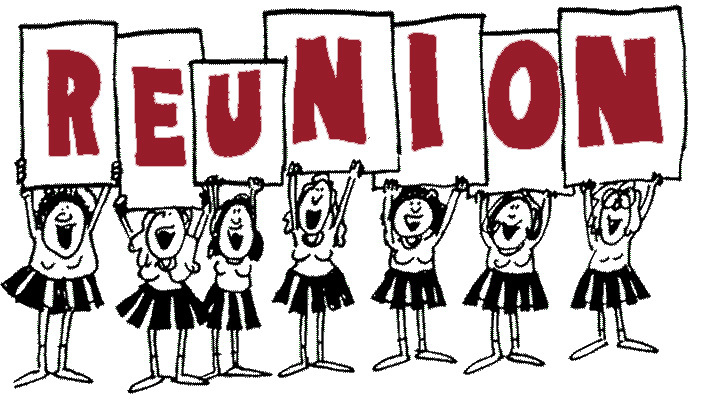 From 6:30- 8:30 we laughed, hugged, ate, drank and caught up with old friends – some of whom we hadn’t seen in decades! 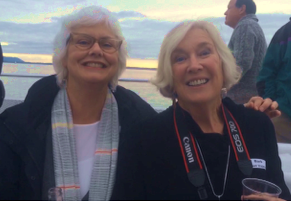 As we disembarked at 8:30, the first of the showers blew in but by 9:00 we were either safely home, or happily ensconced at Giusseppi’s Al Puerto where we took over the bar and half the dining room to continue with our celebrations of being together again. and attach the picture. Enjoy! 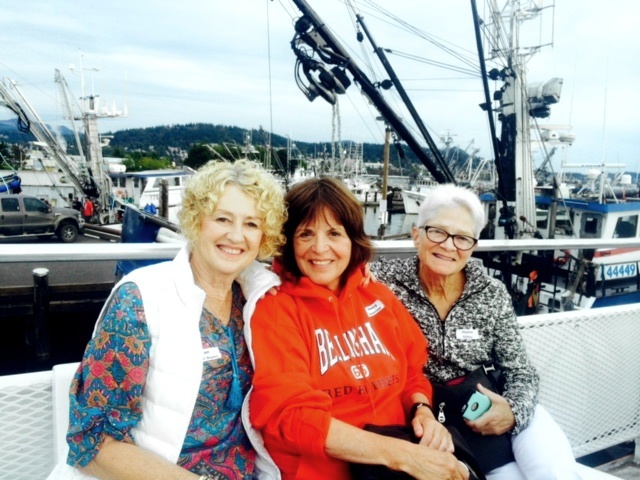 Fran Farrel Donis, Nancy Anderson, and Jayme Gilday sitting pretty on the way out of the harbor. 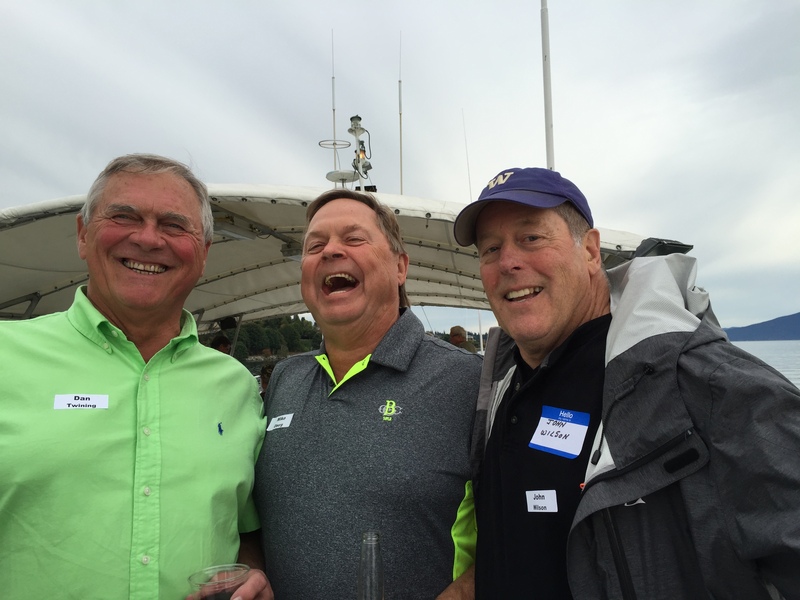 Jonathan Hatch, Kathy Mratinich, Skeeter Smith, and Roland Wilson hanging out on the upper deck. 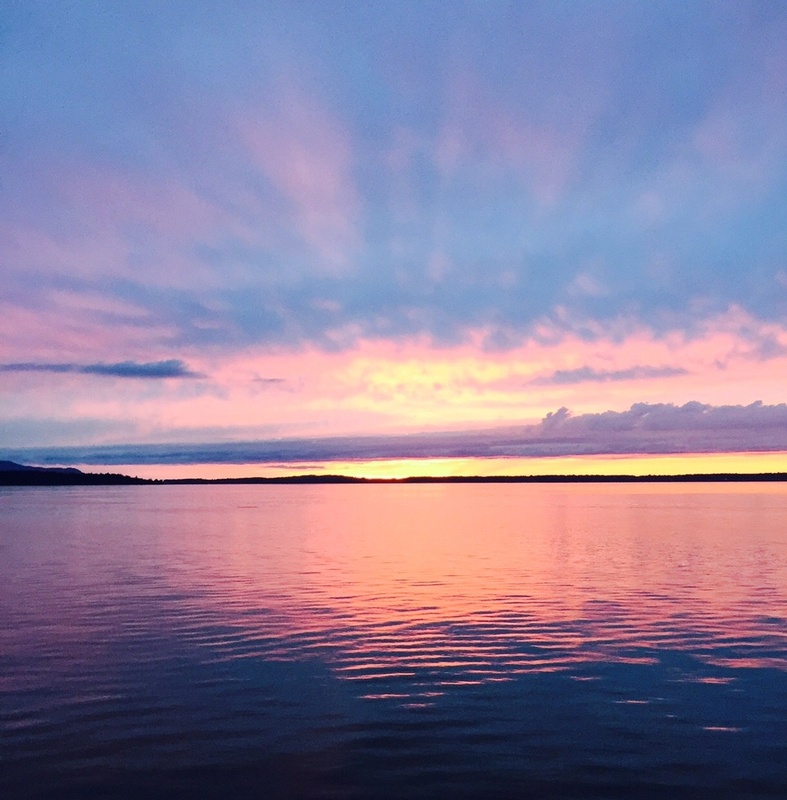 Another beautiful sunset shot taken by Sue Voris Roundy. 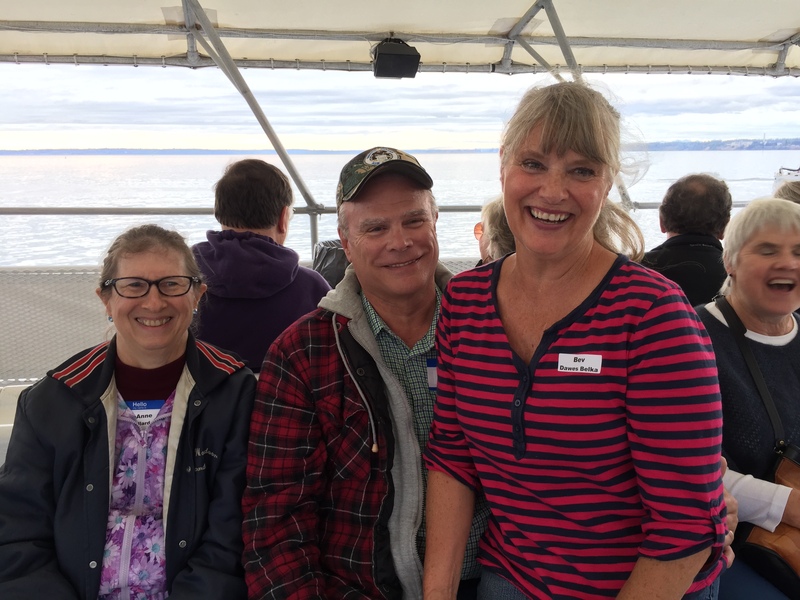 “Gary and the Girls” From left: Laura Harris Sela, Gary Hershey, Sue Higgerson Logghe, Lynn Ebright Wight, and Nancy Higgerson McCloskey as we cruised along Chuckanut Bay and into Pleasant Bay. 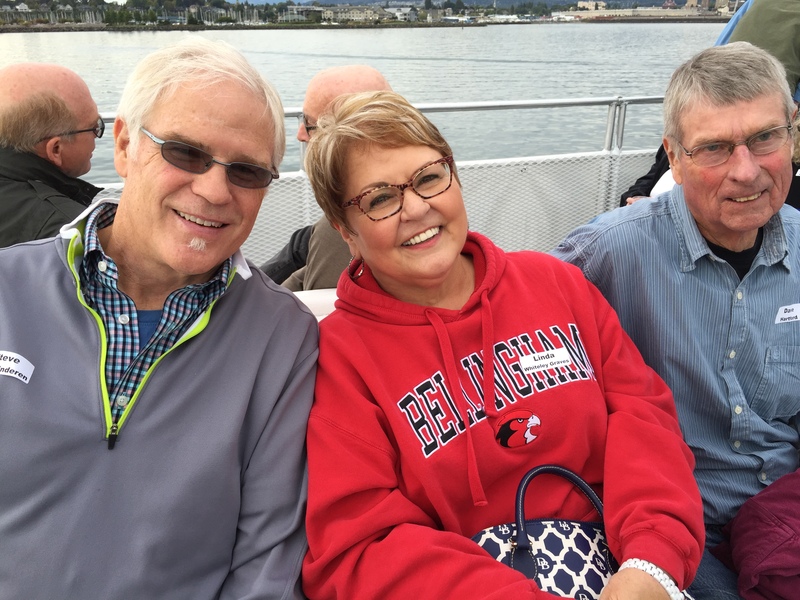 Steve Van Sinderen, Linda Whiteley Graves, and Dave Hartford discussing Steve’s near fatal skiing accident last winter in Colorado. We ALL feel so lucky to be alive! Barb Zoet Vidmar (right) getting a hug from Sue Voris Roundy. 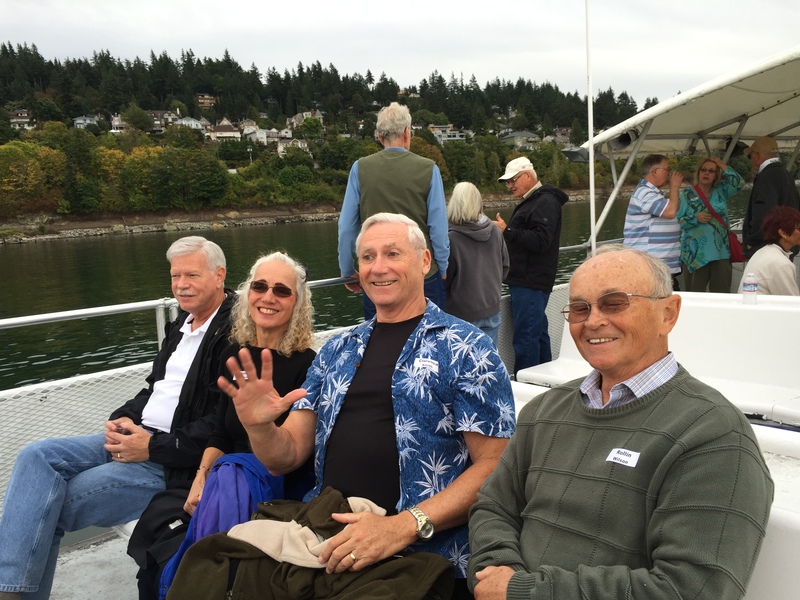 (left) Fred Goodman, John Mitchell, Dan Twining, Jim White and Mike Hall on the upper deck, enjoying the cruise. 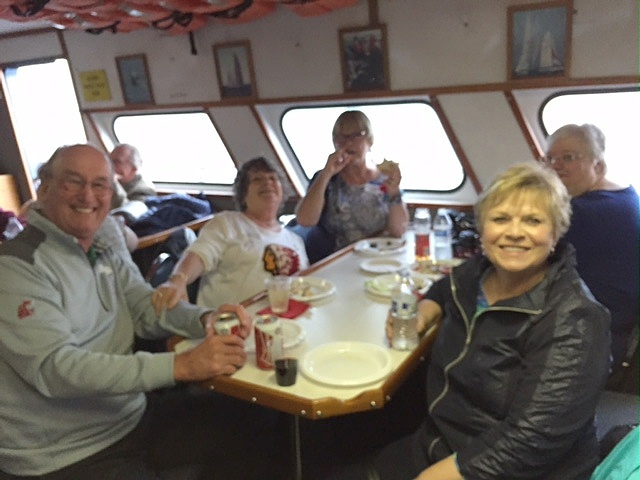 Inside enjoying a snack are Bob Kearns, Cheri Seelye Farley, Kathy Weisenburger Huffman, Charlene Shipley Kearns and Cynthia Stull Robbins. 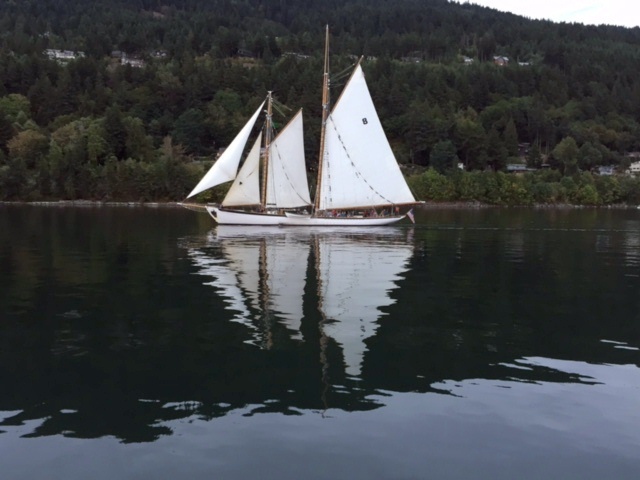 The glassy waters of Chuckanut Bay created a visual treat as this sailboat slipped by. 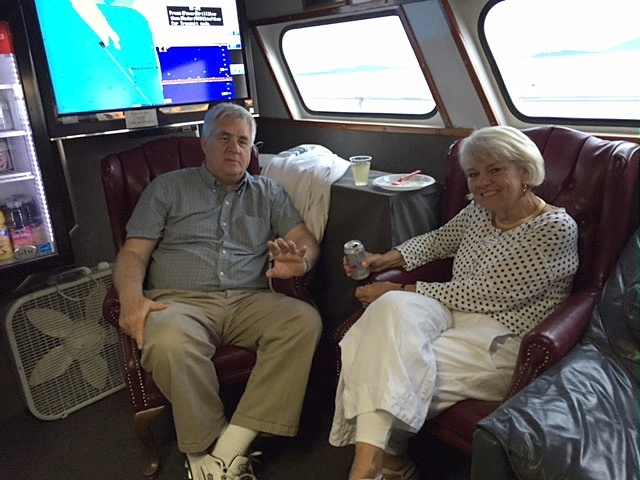 Frank Repanich and Mimi Brooks Ferlin found a cozy nook to catch up. 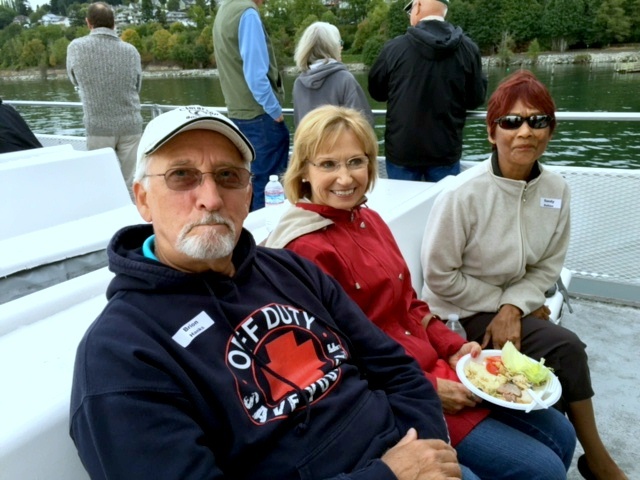 Anne Ballard, Bobby Ballard, and Kindergarten buddy Bev Dawes Belka had a chance to visit. 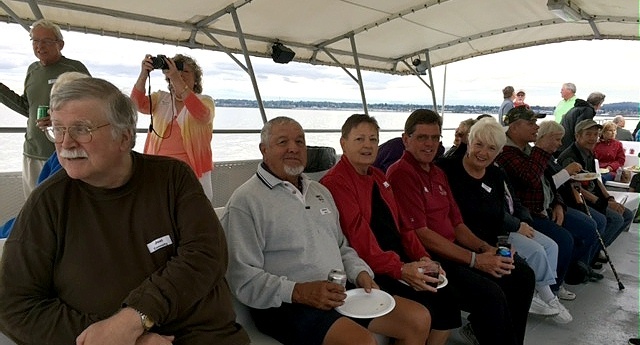 Enjoying the view from topside are (left) Joel Connelly, Gilbert and Judy Stevens Mora, Dave and Carlotta Jarratt, Bob Ballard, and Julia and Jerry Couchman.